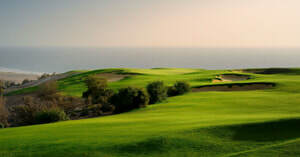 Morocco is one of the world's most exciting up-and-coming holiday destinations and perfect for a golf break. Whether you base yourself near the bustling centre of Marrakech or the beach resorts of El Jadida and Agadir, the quality of golf in Morocco is superb, not least at the renowned Mazagan Beach, Samanah and Palmeraie. With great-value prices, year-round sunshine and a three-hour flight time from the UK, a Morocco golf break is more achievable than you think.